Never one to back away from a challenge Yonatan was born on October 19, 2017 to parents Franceny and Fammadera. Since his diagnosis and birth, Mom and Dad spent countless hours criss-crossing the state in order to continue caring for their two other children at home in Melbourne, while also being at Yonatan’s bedside as often as possible to cheer on his recovery. They’ve made ends meet in any and every way they know how, even with Franceny having to leave her job in order to focus on her baby, but they know this is a price worth paying as they look into Yonatan’s big, bright eyes. 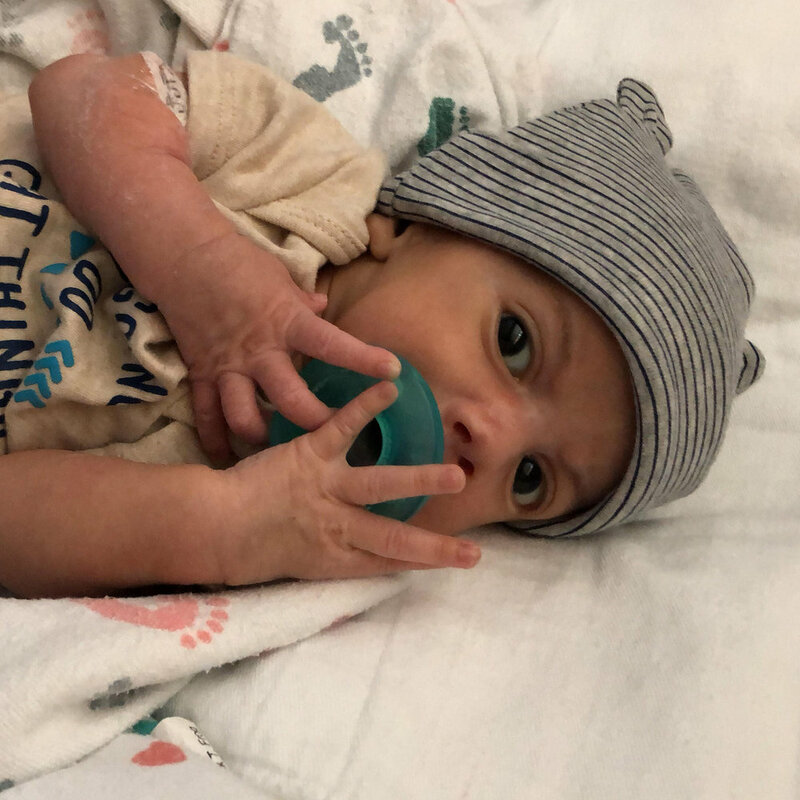 They recently packed up and headed back home to be complete as a family once more, and in order to make their transition as seamless as possible, we’re honored to provide the family a Fore Hadley Angels in the NICU grant to assist in Yonatan’s ongoing recovery. Keep up the fight Yonatan and family, you’ll look back at this challenge and smile one day – like the huge smile your baby boy always wears!